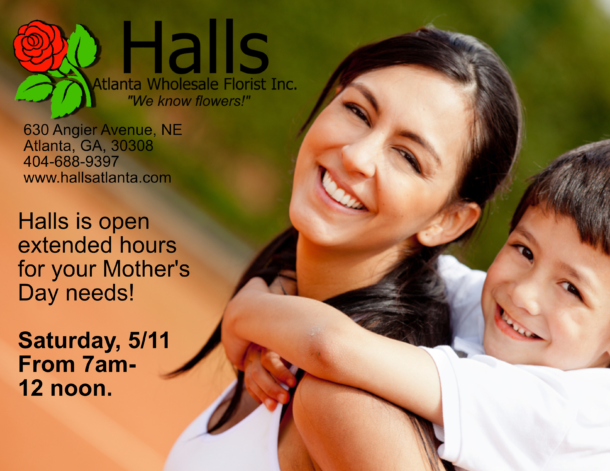 Hall’s Atlanta Wholesale Florist is ranked among the top wholesalers in the nation. We’ve been in the heart of Atlanta for the last 57 years, and in the Wholesale flower industry since 1921. We are proud to be the largest wholesaler in Atlanta. Our professional staff has many years of wholesale floral experience, and extended experience in the retail and special event industries. Our resources are truly global in nature. We distribute flowers from Israel, Holland, Ecuador, Canada, Mexico, Italy, Paraguay, Colombia, Costa Rica, Hawaii, South Africa and more! In the United States we draw from 25 of the 50 states including California, Texas, New Mexico, Alabama, Mississippi, Maine, Michigan, and Oregon. The variety of our product line is unmatched. We provide most major lines in floral hard goods, including Oasis, Vacuum Ornametal, Syndicate Sales and more. Global Flowers South Carolina is an outreach of Hall’s Atlanta Wholesale Florist and is fully supported by us. Global South Carolina not only provides flowers for everyday needs, but also provides a complete special order service. Saturdays from 8am until Noon. We are closed every Sunday except when noted.